Have you seen the new baby trend? 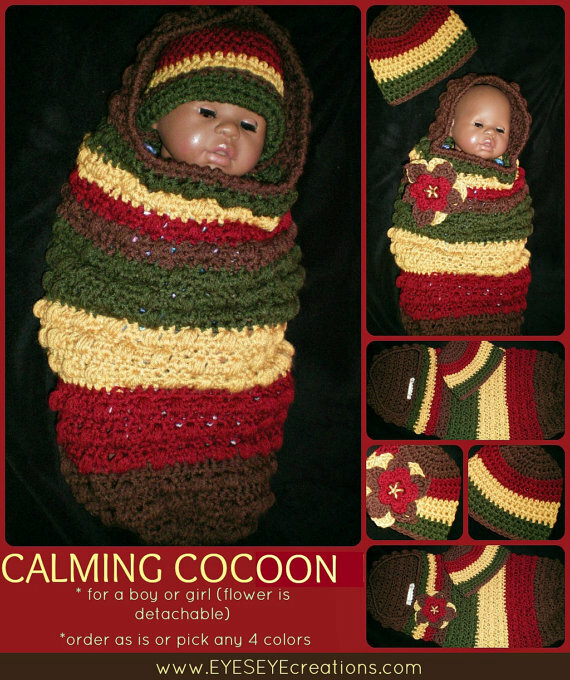 If not go ahead and Google 'Baby Cocoon' and see all the wonderful creations that come up. I decided to create a few for new and expecting mothers. This is one of them and I shall post the other one soon. The cocoons are popular because babies like to be reminded of the feeling they had in the womb. Cocoons give babies a soft warm hug and are perfect for when the baby has been swaddled. I've created a matching hat and a detachable flower (just in case it's a girl) to accompany this lovely cocoon. If interested click the photo above for pricing and more details.